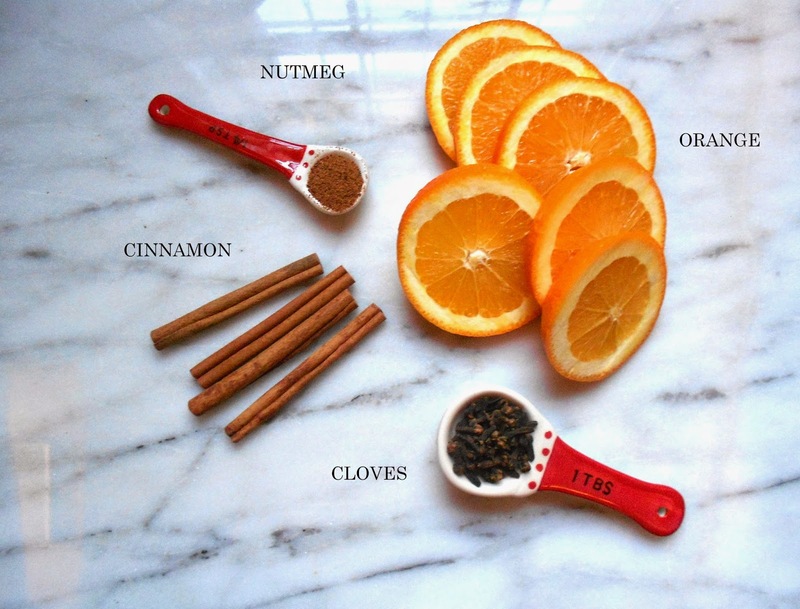 Mulling Spices are one of my absolute favorite smells during the holidays. The scent always brings with it some of my fondest memories. Christmas was so magical at my house growing up. My parents went all out with the decor including our adorable little Christmas Village complete with a skating rink and fake snow. I always imagined what all the little people were doing for Christmas in their festive little town. It was one of the things I looked most forward to putting out every year. I am sure if we went into their little village they would all have mulling spices on their stove ;) ! The great thing about mulling spices is they are one of the easiest things to make. Mix all the ingredients into a pot on your stove, let them simmer and your house will magically smell like Christmas. * I mix 2 cups of water with the ingredients above into a small pot, simmer and enjoy. Add water after a few hours.